Can you build a golem such as the ones found in Jewish folklore? That’s the question that launches Peter Bebergal’s new book “Strange Frequencies: The Extraordinary Story of the Technological Quest for the Supernatural”. 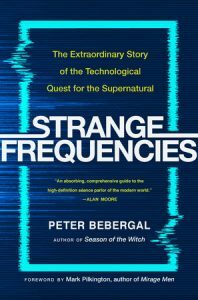 “Strange Frequencies” follows Bebergal as he travels to Seattle to learn about and build automatons. He spends time in Cambridge to discuss stage magic with actor/magician Nate Dendy who plays Ariel in the American Repertory Theater’s production of “The Tempest”. He attends a traditional Spiritualist séance in Lily Dale, NY with photographer Shannon Taggart. Bebergal explores EVP (electronic voice phenomena) and experiences machines designed to facilitate enlightenment. Throughout these adventures Bebergal explores the origins of the DIY/Maker movement and the effect it has had on the exploration of the spiritual. “Strange Frequencies” is an amazing exploration of the technological influencing the spiritual and the spiritual inspiring the technological. This is a must read. 1. How did you get started with essential oils? I started with essential oils after about ten years of practicing magic and had just gotten started in my horticulture studies program. I was looking for a way to work with the plant materials I was studying on a year-round basis, but also to preserve the materials I had an abundance of. I headed to my local natural foods cooperative and found a rack of essential oils and dove right in. The history of the materials as they related to the history of perfumery really enticed me, so I grabbed every book I could find, non-fiction and even a fiction book called, ‘Perfume: The Story of a Murderer’ by Patrick Suskind and John E. Woods. 2. What made you decide to write a book on the subject? It’s funny what makes each person write, isn’t it? I decided to write a book on the subject of aromatherapy after a death in my extended family. It was a great aunt whom I had never met and was already elderly when I was born. I returned to the family’s Catholic church where my mom grew up to attend the church service for this woman my mother had loved, but I had never encountered. I arrived before my mother, but after my uncle’s family who were no longer Catholic but had converted to another sect of Christianity. I was a little anxious that my aunt would cause a scene about my being in a church as my family knew I was a Witch and had caused a scene at a previous family funeral. The longer I sat there, the more anxious I got. Until they wheeled the casket in, with the attendants, and the priest. Suddenly, I was as calm as I’d ever been, I was centered, I was focused and I was ready for a ritual. It was as though someone had thrown a switch in my brain. It took a good minute for me to piece it together. You see, in my very first coven, my high priestess was raised Catholic. So before every ritual (every full moon, and 8 holy festivals a year), we cleansed our ritual room with frankincense and myrrh, the same incense she had growing up in the Catholic church, and the same incense I encountered that day. My brain didn’t know the difference. My brain just knew it was time for a religious observance and switched gears on me without me having to think about it. I signed up for a clinical aromatherapist program the next day and started writing about my experiences with scent that night. 3. You have a company, Blackthorn Hoodoo Blends, that creates blends of teas. Why tea? I started working with tea six years before I launched my company because I feel that tea speaks to the soul of people in a way that nothing else does. Tea is comprised of the vital nature of the plants. When you pour that water over the leaves you can’t help but take a deep breath. My aim in taking that time is to encourage people to turn their morning ritual into a ritual. I had just left a toxic job at a security firm and I knew that if I was going to move on to the next thing successfully, I needed to make room for it in my life. I needed to clear out the baggage left behind by the old job. Anyone who has ever had to put in their two weeks notice knows how that feels. My first morning as a joyfully unemployed woman, I knew I had to get back to the roots of my magic to make that room. I dug out the big cauldron that I burn my candles in (fire safety!) and my bottle of Vanvan oil for clearing out junk and bringing new opportunities your way. I thought this must be one of the fastest spells I’ve ever worked because the doorbell rang before I even lit the candle. I laughed all the way back to the kitchen after signing for a package from the postal worker. Then the funniest thing happened. When I got back to the kitchen, I went to light my candle and I was overwhelmed by the scent of the lemongrass in the oil and all I could think to myself was, “If only I had a tea to sip while my candle burned, I could keep working on my working while the candle burned and did its job.” and Blackthorn Hoodoo Blends was born. A week later I had 15 blends, and now four years later I have over 55. 4. How do you go about creating a tea? When I go about creating a tea, we have the genesis, an old hoodoo formula I’ve been making into oils for twenty years, ‘Justice, Power, and Peace’ is similar to my recipes for empowering blends like Just Judge and Boss Fix. It’s hard to do 1 to 1 recipe because the oil recipes call for things that aren’t edible, so I have to go back to my other materials, recipes and notes to help inspire me for things that have the same power, use and intent to get the job done. Run Devil Run, for example, nothing in that recipe is edible, but the banishing power of black pepper makes for an incredibly powerful banishing tea, and since black pepper makes sweet things taste sweeter it has a great flavor profile and is an easy drinking tea without the added sugar. You can drink these teas just because you want something good in your body. Magic is all about your intent so you can tap into the intent behind these blends, or you can just enjoy some Money Draw tea because it tastes like a popular fruity breakfast cereal. A lot of people talk about how materials meant to clear negative energies to stink, but the stink is in the eye (nose?) of the beholder. There are two schools of thought here. The popular school of thought is that the stink will drive the nasty spirit back to where it belongs, and keep it away from you, and your home. The lesser known school of thought is that working with smells that the end user finds pleasant is infinitely more effective, for a few reasons, A) they’re more likely to use it. It can’t work if it just sits on the shelf. B) they’ll enjoy using it, therefore creating a happy environment which is more difficult for a nasty spirit to cling to. C) You’re more likely to ‘vibe’ with something that’s going to work with you anyway. 6. Given how stressful life seems to be for everyone lately, what are some aromas you’d suggest to help us all chill out? Place essential oils and witch hazel in a 2-ounce pump spray bottle. Cap it and give it a good shake. Unscrew the cap and fill it the rest of the way with cool water. Spritz well and often to banish melancholy and irritability and bring peace and centering. 7. What advice would you offer to someone looking to start working with essential oils? Research, take classes online, or with an instructor. You can never know too much about this. It can seem overwhelming. Instead of buying a kit with 10 or twenty oils in it and trying to learn them all, pick three and learn everything you can about those three. Use them for cleaning your kitchen counters or for magic. Use them for everything the books tell you it’s safe to, but know those three inside and out, before adding another. Just keep it simple and you’ll keep yourself from getting overwhelmed. You can do a thousand things with one oil and this book. 8. What are some things people should look for when shopping for essential oils, particularly if shopping online? 9. What’s next? Do you have any projects my readers can look forward to? I’m happy to say that I’m back working with Weiser on my next book! They’re so great to work with, I just couldn’t stay away. I can’t say what it is just yet, but fans of this book will be dying to get their hands on this next book. What’s your favorite sense memory related to this time of year? It’s not tied to a specific fall memory, but kind of general amalgamation of memories. Thanksgiving dinner cooking smells. That warm, toasty kitchen filled with the aroma of roasted turkey and the fixings. I don’t take the holiday seriously because let’s face it, Thanksgiving is a horrible lie because our ancestors were total dicks to the Native Americans, but the food. Oh the food. If you follow The Magical Buffet on Instagram (You do follow The Magical Buffet on Instagram, right?) you know that along with lots of photos of books, tarot cards, and booze, I really enjoy cosmetics and skincare. I have many strong feelings about the political and cultural issues that these items are mixed up in, but I won’t bore you with all of that today. For the moment, just know that mostly the onus is on us, the consumer, to try and buy effective AND safe products. That’s where this do it yourself facial mist comes in. Just like with the food, the only way to be 100% certain what’s in something is to make it yourself. I can’t take credit for this idea. All credit goes to Renee and her YouTube channel Gothamista. If you have 5 minutes you should really watch her video about this mist. At its core, this is super simple. It must be if I do it! Using Aloe Vera juice as a base you pour it into a little spray bottle and then add a blend of oils. Close the bottle, shake, and mist on your face, or body, or hair. My personal blend is mixed to help with acne and signs of aging. Generally I mist it on after I wash my face. I let it soak in and then do the rest of my skincare. 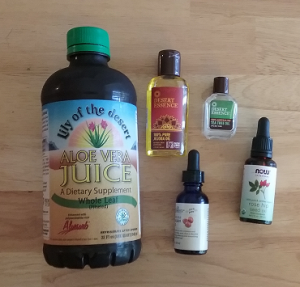 My DIY facial mist has the Aloe Vera juice base. I pour it so it mostly fills the spray bottle. Then I add a couple of droppers full of Tea Tree oil, Jojoba oil, Rosehip oil, and sometimes a dash of Argan oil. It has definitely helped tame my acne. If you’re interested in what kind of oils would be good for you, you should take 12 minutes to watch yet another video from Renee outlining facial oils. And if you’re interested in skincare you should just subscribe to her channel. This book has been out for over a year. Over a year! I even read it as soon as it came out, and yet it has taken all this time to share my thoughts on it. 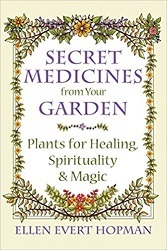 “Secret Medicines from Your Garden: Plants for Healing, Spirituality & Magic” by Ellen Evert Hopman is still in print, so it’s still worth sharing. Reading “Secret Medicines from Your Garden” makes you feel like the author is personally leading you on a wilderness adventure. Hopman regales you with anecdotes from her spiritual journey and herbalism training. She doesn’t just tell you about herbs and their meanings and uses, she trains you to intuit a plants purpose. Not only do you learn about the physical natural world, but Hopman discusses plant spirits, herbal astrology, and more. Of course the book is filled with ways to use all that nature has to offer such as poultices, tinctures, and food. I would say “Secret Medicines from Your Garden” is a surprisingly engaging book, and I dare say it’s my favorite of all of Ellen Evert Hopman’s books. (And considering how many great books she’s written, that’s saying something). I love Sandra Kynes. She’s an insanely prolific writer whose work never seems repetitive, is always accessible to the average reader even while being scholarly, and despite my only sporadic support she always personally mails a copy of each of her new books. And you know, I don’t seem to see people talking about her as much as she deserves. I’m hopefully going to remedy that now with a Sandra Kynes book review double header. These two book go together great, and I hope after reading this little article you’ll be inspired to pick them both up! First, get ready to get excited about gardening because I’ll be talking about “The Herb Gardener’s Essential Guide”. 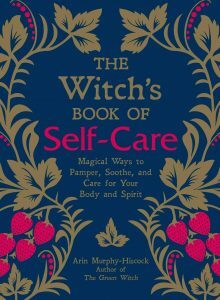 On the cover it also reads, “Creating Herbal Remedies & Oils for Health & Healing.” But it doesn’t do just that. Kynes takes you from how to design your garden, whether it’s a single pot or a whole backyard, to understanding your soil, recommended tools, garden maintenance, and more! Seriously, it’s like a super interesting gardening show in the palm of your hand! Once you’re through that you get to harvest. Kynes discusses the best way to store your herbs based on type and intended use. This is also where she gets into the nitty gritty of making herbal remedies, and as usual, she leaves no stone unturned. Teas, infusions, infusion oils, infusing with essential oils, decoctions, tinctures, bath oils and salts, compresses, creams, diffusers, powders and capsules, foot soaks, ointments, salves, balms, and still more! If that wasn’t enough ways to use your herbs, Kynes also devotes time to culinary uses of herbs for good health, such as cooking oils, butters, and breads. Then she has a nice selection of profiles for assorted herbs. It includes the herb’s uses, including precautions and contradictions, and their preferred growing environments. There is also a handy appendix that lets you look up herbs by the ailment they treat. Maybe it’s just me, but “The Herb Gardener’s Essential Guide” got me really excited about herb and herbal gardening. 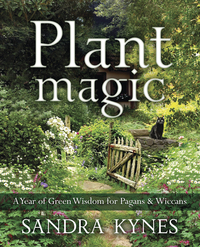 The other book I’d like to address is “Plant Magic: A Year of Green Wisdom for Pagans & Wiccans”. This book is a reminder that Sandra Kynes is one of the queens of cataloging connections and correspondences. After all, she did write the book “Llewellyn’s Complete Book of Correspondences: A Comprehensive & Cross Referenced Resource for Pagans & Wiccans”. Whereas “Complete Correspondences” covered anything and everything you can imagine, “Plant Magic” pulls the huge interconnected web in to focus solely on plants. The book is primarily broken down into the 12 month of the year. Each month features “On the Calendar” (essentially holidays like New Year’s Day and Samhain), “In the Garden”, (highlighting plants that bloom during that month), “In the Wild” (profiling plants that can be found in the wild that month), “In the House” (offering ideas of things to do with plants that are appropriate for the month). Of course there is a handy appendix that’s a plant list/quick guide, and one full of magical correspondences. 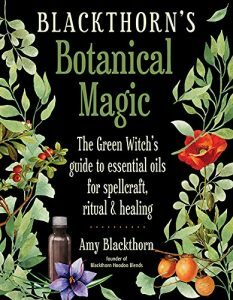 If you are a Wiccan, Pagan, or magical practitioner that’s into plants, I would call this book a must. 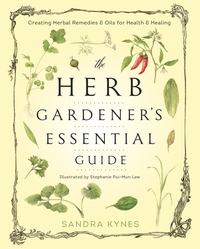 For more information on “The Herb Gardener’s Essential Guide”, visit here. For more information on “Plant Magic”, visit here. Almost everyone struggles with something, whether it’s the kids going off to college, an unfulfilling job, divorce, looming retirement, or simply not having enough fun. All of these situations can lead to struggle, but what if it doesn’t have to be that way? Step #1: Take full responsibility for your life. All of it. When you let external conditions control your destiny, you surrender your power and authority. By the same token, when you allow someone else to be in charge of your life, you keep yourself stuck. You are the victim and that is not a powerful position. The truth is you may not be able to control all your circumstances, but you have total control on how you respond to all them. Action: First, get clear about what you want. Most people think about what they don’t want. “I don’t want to be poor,” or “I don’t want to be bored,” or “I don’t want to be alone.” Revise this list to say what you DO want. “I want to make more money. “I choose to have more fun.” “I am going to spend more time building and enjoying my relationships with others.” Now you have something to work with. Each of these items require NEW activities and new actions. It’s time to do something different. Step #2: Don’t arbitrarily accept someone else’s beliefs and opinions. People project their own beliefs onto others. It is called transference. If someone thinks you are not making the best use of your talents, then more than likely, he is not making best use of his. Letting others tell you want is true reneges on your responsibility to draw your own conclusions and can definitely lead to struggle. Action: Do your own homework. Whether it’s politics, news stories, or simply the best way to bake a cake, ask yourself what you believe about it before asking anyone else what they think. What makes sense to you? What do you think is the best way to balance the budget? Practice having an opinion and stating what that is without worrying what anyone else thinks. This is also a good time to weed out negative people, groups and thought systems. Give up the “Debbie Downers.” Don’t listen to the news 24/7. Do be selective as to what and who you listen to. Finally, find people who are happy and hang out with them. Step #3: If you need to do it – do it. Take action and stand by it. That means leave a miserable job or relationship, relocate, take a class, start a new career – start over. Your life is your journey. If you are not growing, you are not going to be happy. Add to this the fact that the world is constantly changing and so must you. Don’t resist because that is what causes struggle. Embrace change. Action: Make a list of things you want to do or change. Pick the first item and DO IT!! You can start with something small and work up to the bigger items. Maybe it’s as simple as always hanging up your clothes at the end of the day. Perhaps it is time to lose that extra 15 pounds you’ve been carrying around. Why not start a conversation with that good-looking guy you see in the coffee shop every other morning? If you want to develop a new skill, then find a mentor or take a class and learn something new. How about a class in computers, or take a foreign language course? Perhaps you’d like to learn about the travel industry, or how to start a bed and breakfast. Maybe you’ve always wanted to be an artist, so you could start with a beginner water color class. If you’re looking to reduce stress and anxiety, sign up for a meditation class, yoga, or Pilates. Step #4: Acknowledge that you are valuable. Remind yourself of this daily. Talk to yourself out loud and affirm your value. Do not underestimate the power of what you say internally. In fact, how you talk to yourself is a make-it or break-it proposition when it comes to struggle. Many people say horrible things to themselves, “How could you have done that; you are stupid; you are unlovable; you will never amount to anything.” These are lies. They are generated from the ego that loves control. Paying attention to ego railings is like having a giant thumb pressing down on you. If you listen to the negativity, you will never step out of your box and investigate your incredible self. Again, decide who you want to be and find a way to be it. Action: STOP your mind when it starts in on the negativity. Refuse to give it credence. It is your mind – you get to say what goes on there. Mental discipline is key to releasing struggle, so don’t let your mind run on automatic pilot. Be vigilant about it. Remind yourself daily – hourly, in fact — that “You are valuable.” To prevent becoming overwhelmed with negative self-talk, move. Get out into nature and take a walk while breathing deeply. Take action, such as cleaning out a closet or drawer. When you have calmed down, write in a journal to expunge fears, and then write about your desires, hopes and dreams. Clear your mind so that you remember that you are valuable — a unique piece to the universal puzzle that makes everything work. Step #5: Dump any emotional baggage. This includes memories of being hurt, offended, or criticized. Let it go! So your mother didn’t love you enough and your father wasn’t there. That is on them and not you. Forgive them and move on. While you’re at it, forgive your brother, your sister, your mean-spirited boss, your soccer coach, your nosy neighbors, and the rude store clerk. Let them all go. How? First, remember that what others project out is what is inside of them. Action: Observing your thoughts for ten minutes a day. Take notes. When you have a “blaming thought”, stop and correct yourself. “Wait. I am responsible for my life.” If you find yourself feeling resentment or thinking, “poor me,” make an adjustment and change your thoughts. Sometimes we are tempted to ruminate, but it is exactly at those moments when you must catch yourself and interrupt your pattern. Deliberately think about something else: Bring up a pleasant memory. Remember a time when you confidently handled some situation in your life and you did it well. Keep correcting yourself and eventually the victim thoughts lesson. By clearing out the mental space held by grievances, you feel lighter and the payoff is huge… squashing struggle forever. Step 6: Find a way to express yourself. Everyone is creative and creativity must be expressed. Build something. Write something. Learn to draw or speak. Everyone needs an outlet to express energy, one that is uniquely one’s own. Experiment until you discover yours. It is your gift to the world. Action: Start with things that come easy for you — decorating cakes, coaching a soccer team, organizing, making friends. Then expand on that. If you’re not sure how to do that, then take classes until you discover a way that feels good for you. You don’t have to be a Picasso to paint or a Hemingway to write. Teaching, volunteering, sales, accounting, and business – these are all creative endeavors. Don’t worry about monetizing your efforts. Just do it for fun. You never know where this will take you. One fellow I knew visited junkyards and found interesting pieces of metal, which he welded together to create sculptures. He loved it. In time, he started a side business selling metal art. Step 7: Become a possibility-thinker. When you look at a person, relationship, or opportunity, ask yourself, “What are the possibilities here?” Most people don’t see possibilities because they never ask the question. You must ask the question and seek possibilities. What if joining a study group opens up opportunities to learn new skills, meet amazing people, or start a new career? What if taking a new route to work reveals a short cut, a new restaurant in town, or a beautiful view. Be curious and try new things. Action: Start by making a list of all the possible ways to do something. Pick a subject and write it down at the top of the sheet of paper, or on a document in your computer. For instance: If you want to go back to school and you need tuition money, what are some ways you could pay for it? Here are some ideas: You can take the money out of savings, get a school loan or grant, procure a home equity line of credit, ask someone to help you, put it on your credit card, win the lottery, trade services with someone for paying your tuition, get a job that subsidizes schooling, join the military so you can go to college, win a contest, find a benefactor, and so forth. These are a few possibilities, but you can come up with more. If you are saying to yourself, that won’t work; that won’t work, etc. Ignore them. Those thoughts keep you in the struggle. Step 8: Turn failure into triumph. It is important to pay attention to what you have previously called failure because this is where you can slip into struggle. The loss of a job doesn’t mean it’s the end of the world; it is an opportunity to find a better one or maybe start a whole new business. When a relationship ends, it may leave you feeling feel lost and disoriented. However, the completion of a relationship may indicate you have outgrown it, learned the lesson it was to teach you, or someone new is waiting for you. By facing the unknown and turning “failure” into triumph, you discover more about yourself. Sometimes the gift is learning that quiet time alone can be restorative. It can be the beginning of new friendships, adventure, and a fresh, new life. Action: Do an assessment and write out your conclusions. First, look back at your life and notice what “failure” actually led to a better opportunity? When did that unexpected turn in the road guide you to something amazing and wonderful? You took a detour only to discover your soul mate. You didn’t get into a certain school, only to discover a different learning opportunity that led to your dream career. Pause to ponder this: Is there anything in your life now that you consider terrible? And let me ask you this: Have you ever been wrong? Is it possible that this terrible situation is a lead in to a thrilling new escapade? If it’s happened in the past, it very likely will happen again. Do a personal audit and you will be amazed how failures were really just direction changes. Whatever it is that you struggle with — an empty nest, an unfulfilling job, divorce, retirement or whatever, get busy. Reboot your perspective. Squash the struggle and you’ll have a lot more energy to create the life you want. 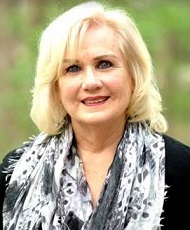 Jean Walters is an internationally-known teacher, transformational coach and Akashic Record reader (psychic) who designs and presents classes and workshops in empowerment, meditation, building communication skills, universal laws, dreams interpretation, strengthening intuition, and creating spiritual connection for many organizations including colleges, universities, spiritual groups, and businesses. She writes for numerous major newspapers and publications and hosts a nationally syndicated radio show called Positive Moments. She is a favorite featured guest on other radio and television programs. 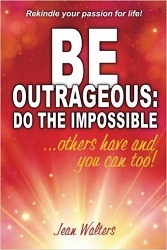 Her books include “Be Outrageous: Do the Impossible”, “Set Yourself Free: Live the life YOU were meant to Live”, and “Dreams and the Symbology of Life”. 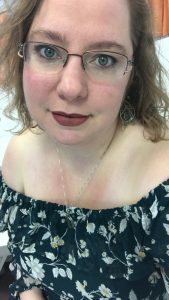 She has performed over 35,000 readings with the emphasis on providing insight regarding personal growth, life purpose, strengthening relationships, and moving through obstacles. Let Pancake Bot draw whatever shape you want your pancakes in, then cook them for you. What Do Tree Rings Sounds Like? Oddly ethereal. See scientists take tree rings and treat them like they’re special long-playing vinyl. Along the Nile, in the Sudan, there are some 200 pyramids left — not by the Egyptians — but by the Meroitic Kingdom. They’re not as big but they are very cool looking. In fact, I suspect some of the artists drawing tombs in various fantasy games over the years saw these. Which is not not the remarkable part — no, because any idiot with a 3D printer and the right file can make one of those. This guy did it with a block of aluminum, some hot glue, and a lathe. Not a CNC reduction machine. No! An honest-to-Pete lathe — spinning in circles, crank-controlled, and computer-free. Want to experiment with lava flows, but live in upstate New York? Melt some basalt and make your own! Imagine a place with no cell phones, no radio broadcasts, not even any microwave ovens (unless they’re in a Faraday cage). That place is the Quiet Zone, an area of 13,000 square miles that is forbidden by law from having any radio interference. Yup, time to break out your holoprojectors. It’s a full 3D map of the known universe and you can monkey around with the view. The Hyperloop is a train, set in a near-vacuum tube, which — if the theory proves correct — could travel faster than an airplane. Yes, Elon Musk, super-villain in training (or a hero using the villain playbook, which one is unclear) is making another of his wacky ideas a reality. Giant pneumatic tubes could some day criss-cross the country, or even under the oceans. If you’re wondering why anyone would want to use or build something like that, let’s lay down the travel times: Los Angeles to San Francisco in 30 minutes. Yeah. Anyway, they’re actually building a test track now. Want to build amazing structures or spaceships (spaceships!)? LEGOs. Want to be able to eat them after the inevitable fiery comet of doom? Look no farther. It’s a super-tiny house that can accommodate up to 2 people, runs off wind and solar, and even collects its own rain water in a cistern below the living space. Looks like a futuristic egg, but the interior is actually kinda cool. Coming in 2016. So, there’s this website out there that simulates the computer control system in the original Jurassic Park movie. Give it a whirl. Lovely antique small writing desk, with a TON of secret drawers and hidden compartments. Great video showing what appears to be the oldest movie footage of New York City, from May of 1896. Annotations show a map of the current NYC on the left. Pop-up highlights over the video call out landmarks and other points of interest. There’s movie footage from 1896 to 1906, going backwards in time from newest to oldest. Fascinating stuff. But that’s not the best part — the awesome thing is that it’s a secret door, modeled on the secret back entrance in Moria. Yes, that Moria — as in, Mines of Moria, Tolkien, Lord of the Rings, etc. It even — oh, but I won’t spoil it. Suffice to say it has features. That’s Not a Table! It’s a Machine! Watch this crazy complex table go from a small size to a larger size simply by turning. It’s based on an 1835 patent. Ok, it hasn’t got a TON of room, but it’s got the nice benefit of being difficult to spot. Plus who doesn’t like hidden drawer-type-things that you can do yourself for $3? Watch as zombies spread out from the point of infection, in hour-by-hour time, until they engulf the US. You can even slider-bar the parameters to make zombies faster or slower, and more or less infectious. Science! Some 4-color plates of famous geography from yesteryear. Browse the contents of the Bat Cave, or the hidden secrets of the Baxter Building. PHILADELPHIA, PA and BOULDER, CO, Immediate Release — Comcast and Gaiam TV, an innovator of online streaming yoga and inspirational video content, announced the launch of Gaiam TV Fit & Yoga, a subscription-based Video On Demand service providing Xfinity TV customers with access to premium yoga and fitness training directly on the TV. Gaiam TV Fit & Yoga offers customers access to fitness programs from the world’s best yoga instructors and fitness trainers, including Jillian Michaels, Rodney Yee, Leslie Sansone and Shiva Rea. With more than 100 programs available, Gaiam TV Fit & Yoga offers something for all fitness levels, interests and demographics. Program choices include cardio, pilates, yoga, meditation, pre and postnatal exercise, sculpting and toning, walking, circuit training and dance, as well as programs tailored for certain health conditions including arthritis and stress-related illnesses. The collection of content will expand throughout the year, and is accessible via Xfinity TV Go mobile platforms. Xfinity TV Digital customers with Xfinity On Demand can subscribe to Gaiam TV Fit & Yoga for $6.99 per month. There will also be a collection of free content available On Demand, enabling customers to sample the programming. Gaiam TV is a streaming video subscription service that offers exclusive, ad-free streaming of over 7,000 films, documentaries and original programs dedicated to transformational media, alternative knowledge, personal growth and spirituality, featuring luminaries like Deepak Chopra, Wayne Dyer, the Dalai Lama and renowned yoga, fitness and wellness instructors like Rodney Yee, Jillian Michaels, Seane Corn, Mari Winsor and more. With the MyYoga channel, Gaiam TV is the world’s largest online yoga and fitness resource. Gaiam TV is a division of Gaiam, Inc. (NASDAQ: GAIA). For more information, visit www.GaiamTV.com.